Planning to travel around the globe? You are better off carrying maps of the cities you are planning to visit to stay out of trouble and find your way around more effectively City Maps 2Go saves you from having to carry paper maps with you. The app has offline maps and takes advantage of Wikipedia content to offer you a richer browsing experience. 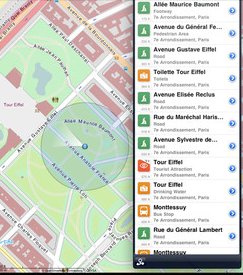 City Maps 2Go saves you time searching and finding places in your city. You can easily spot your location on the map and find thousands of POI. Places and notes can be added to the map. The app covers 7800 maps worldwide. Its data is provided by OpenStreetMap and is of decent quality. You also get a filter bar to filter and sort your lists easily. City Maps 2Go is a decent map app for travelers. It has quality content and covers plenty of places around the globe. City Maps 2Go is available for $2.99 at this time.